Looking for ways to boost your ebook sales? Running a social media campaign (or several) during vendor promotions is a great way to drive sales and boost your following at the same time. If you’ve promotionally priced books with major vendors, you’ve positioned yourself for merchandising opportunities through their expert team of professionals – which is great. But why not take advantage of the opportunity to promote your content using your own following? 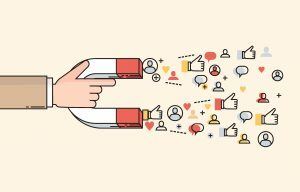 Here are some tips and tricks for creating social media posts to promote your ebooks leading up to and during vendor promotions. Most vendor promotions run for 4-5 days, though some run for longer. Check the notification you received from eBOUND to make sure you’re aware of the exact dates of the promotion. Select a few key titles to promote and begin posting about them the day before the promotion begins. Your readership follows you because they are interested in your books! Engaging with them gives you a chance to keep readers intrigued and informed about what you’ve got going on. Include them in your posts by asking questions, answering their responses and liking/sharing their comments. Tweets, Instagram posts and Facebook posts complemented by visuals receive a higher level of engagement and much more traction, so when promoting your ebook on social media, it is important to offer some visual stimulation. Add your cover image or pictures of events/the author’s own photos from events and/or book launches. Short on visual content? Re-use images you find online that are relevant to your post – just be sure to credit the original owner! Social users will be much more inclined to click on something that sparks their interest or allows them to engage, so use your imagination to captivate with words. “eBook on sale – buy now” will get lost in the scroll – but a quirky quote from the author or captivating passage will make people pause. Use keywords that relate to the content of the book, include a one-line synopsis and info about the author – even direct quotes if possible. Allow the readership to establishing a brief connection with the content of the book you are promoting, making them realize it’s magic! It makes your content more searchable, followable and allows you to reach a wider audience. Be crafty and wise about your hashtags – make sure they are topical, relevant to the book and spelled correctly! Take a couple minutes to find out which hashtags are trending the day of your post to see if they could be useful to you. Using your location can also be valuable, as many social media users take advantage of this function to see what’s happening in their city or other cities they love. Create a poll – ask a question that engages your following and makes them think. Your main goal is to get people to engage, to click on posts, and ultimately click that purchase button. If they click on your post, they are just one more click away from the vendor’s site. Tag the author and the vendor running the promotion. This will make sure that your post reaches their followings as well as your own. Kobo has a following of 53.2K and iBooks has 652K, and authors are often in the thousands. Don’t forget to include a link to the vendor page where your book is being sold!! Social media is a business strategy, not just social networking and baby/cat photo sharing. In order to reach your target group, you need to be strategic. Facebook offers a variety of options for paid promotions and so does Instagram, depending on your following. In other words, you can pay to have your posts reach the news feeds of your targeted audience(s). Facebook is an excellent place to start, as there are options for every budget. Questions? Get in touch with Cassondra, your Sales and Marketing Specialist for more info.